Web stores or eCommerce allow businesses to reduce their operating cost by marketing goods and services online. This can lead to considerable reduction in overhead costs to the small business owners. eCommerce is, without a doubt, one of the important arms of a successful modern small business. However, this may also be amongst the least understood arms of operating a business. The key to recognising eCommerce web design would be to to start with having an understanding of its aim and the way it fits into the overall picture of eCommerce. 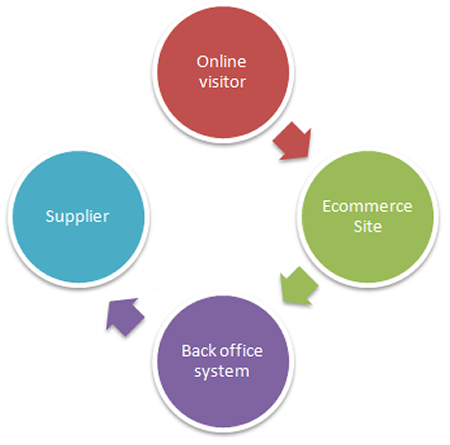 At AHB IT Solutions, we build eCommerce website that can offer potential customers an impression of the organisation. In a brick-and-mortar store, the impression of your company is given by the structure and layout of your store, as well as the individuals that meet and interact with the consumers. Online, it will be the design and structure of your website that serves this particular function, on top of any sort of electronic interaction that may take place between clients and your support service operators. Once you store is setup we will provide you with training so you can simply log in and start selling online.